One of the cornerstones of survivalist, and one of my personal favorite subjects, is bushcrafting. 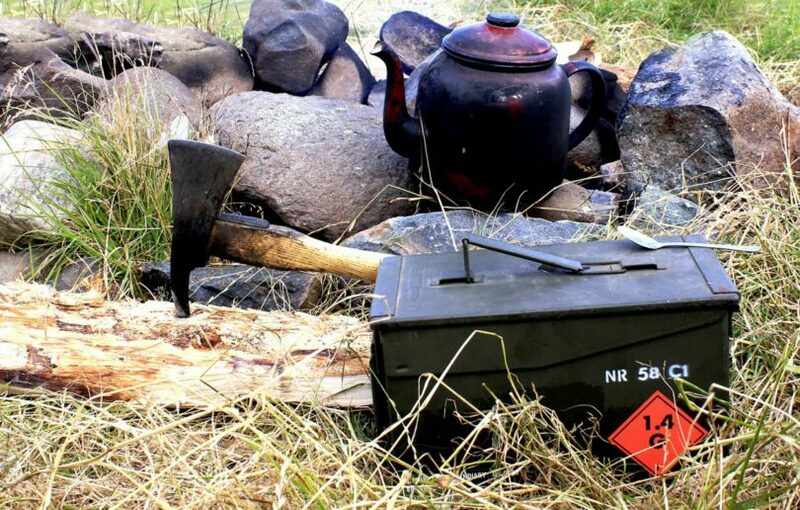 This is a wilderness survival skill that involves using only what you find in nature, and whatever you may have on your or be able to carry, to survive in the wilderness. This can involve anything from wild foraging for food, to trapping, building shelters, crafting clothing-whatever need that arises. If you can master these skills, not only is it incredibly fun, but it could one day save your life. Every year, thousands of people get lost in the wilderness, from national parks to private property. Though basic navigational skills would be incredibly helpful in these scenarios, if you can’t find your way out of the thicket, knowing how to make use of your surroundings can make all the difference in the world. The first step in honing your bushcrafting skills is to first familiarize yourself with the area. Wherever you tend to roam, arm yourself with a library of local field guides and pamphlets. Each time you go on a hike in the area, take your guides with you. Sit down to catch your breath on the trails, and take a moment to observe your surroundings. Use all of your senses-breathe in the smell of the forest, feel the texture of the soil, listen to creak and groan of the trees. This process feels delightfully primal, and will really connect you with the space you’re in. It may seem hokey and spiritual, but it’s about the best way to get a full picture of your environment. It’s amazing what you can learn just by observing. Take a pencil and pad if you want, and sketch away. Make notes to look into things further when you get home, if your field guild proves to be a dead end, but definitely begin with the basics. Look at the plants at your feet, the tree you’re leaning against, the moss growing on it-everything. Become an expert in your local flora and fauna. It may seem tedious and redundant, but it’s difficult to know how to use your surroundings if you don’t even know what they are. In addition, keep in mind you’re taking these observations with the possibility of foraging for food one day. Not knowing the difference between a deadly plant like water hemlock and a harmless flower like chamomile can be deadly. If you’re ever in a pinch and uncertain of a plant’s toxicity, there are a couple of ways you can determine how safe it may be to ingest. First, break open a leaf, and smell it. Does it have a strong, unpleasant odor? Many plants that are toxic in significant quantities can have a strong odor, which naturally deters wildlife from taking an interest in them. Next, touch the open leaf to your skin and rub it in slightly. Wait a few moments; does the area appear irritated, or is it burning or numb? If not, proceed to the next step and touch it to the inside of your lip, or the tip of your tongue. If the plant has a bitter or foul taste, do not try to eat it. If however, you have no reaction, and the plant has a tolerable taste, it is probably safe to eat. But never ingest more than a few ounces of a plant that you’re unfamiliar with, and listen to signs from your body. 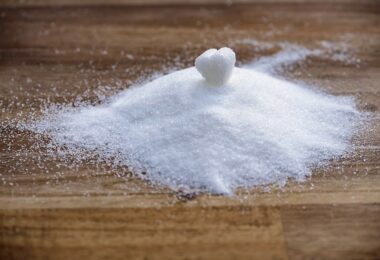 If you feel the slightest bit feverish, or any intestinal upset, don’t eat any more of it, and all yourself to vomit if you need to. As you begin to identity the plants, begin researching them for any useful properties that might not be visible to the naked eye. Many common plants have been used over the millennia before the days of modern medicine. While they may not always be as effective as their modern counterparts, many natural wild crafted remedies are brilliant and efficient in their simplicity. However, if you already know the plant and its properties you won’t have to go out on a limb and test something that may actually be extremely toxic. That’s why you should take a look at our guide on edible wild plants and learn about their properties. Begin keeping a catalogue to organize the information you gather, separating plants based on their uses: medicinal, food, and textile (these will be plants that are particularly well suited for building, clothing, or tool making materials). You may find it useful to research the way the Native Americans used the plants. They were an incredibly resourceful people who made excellent use out of as much as they could, and found surprising uses for many common plants. For example, they learned that the white powder that coated the barks of the aspen trees was a good sunblock in a pinch. This residue has a low SPF factor, only around 5-10, but is a great survival staple in a pinch. Just rub some on your hands, and spread it across your shoulders and cheekbones for some UV protection. As you explore, pay attention to subtle disturbances in the forest floor. The obvious way to spot wildlife is by looking for it directly, but much of what lives in the wilderness teems right under our noses, without ever showing its face. Begin to notice things like scratches in tree bark and large, overturned rocks-often the sign of a bear looking for food. Get up close and personal with poop, and pay attention to where you find it. If you’re finding a bunch of elk poop in a particular area, look at the plant life and geography of the area. Was it a food source, or climate preference that drove the herd here? Where did they bed down for the night? Look under the canopies of large trees for areas of soft, flattened grass. Is there a water source nearby? In a bushcrafter’s mindset, this can be an excellent place to set up a blind and hunt. Become an expert in spotting game trails. Once you know what to look for, they can stand out like lines on a map. These are the paths worn into the ground by frequent and habitual animal activity. Often these trails follow contour lines, as animals will take the path of least resistance through an area just by instinct. We also have an in-depth article on elk hunting tips that can be extremely useful for a bushcrafter. Stand a good distance back from an area, and rather than analyzing individual features of the landscape, allow your eyes to glaze over and take in the setting as a whole. This will make any defined trails jump out at you from the scene. Follow the trails, and try to determine their freshness by an leavings you find, like droppings or fur. Know your local predators as well. Not only is this a personal safety concern, but predators have a tremendous influence over the movements of the other animals. Knowing how to spot the signs of a large predator in the area, such as a mountain lion, can tell you prey animals like caribou, may be more way and on their guard in that area. It would take a book to go over the wilderness survival skills you’d really need to make it a week on your own. However, just knowing how to obtain shelter, food, and fresh water can save your life. If you can master just one of two ways of doing each of these, you’ll be better prepared than most. Not only are these invaluable skills to have, but they’re incredibly fun to learn and teach. Make your family a part of the learning experience-teach your son how to set a snare, or your daughter how to trap fish. You’ll be building some incredible memories with your family, and passing down skills that have since skipped several generations. 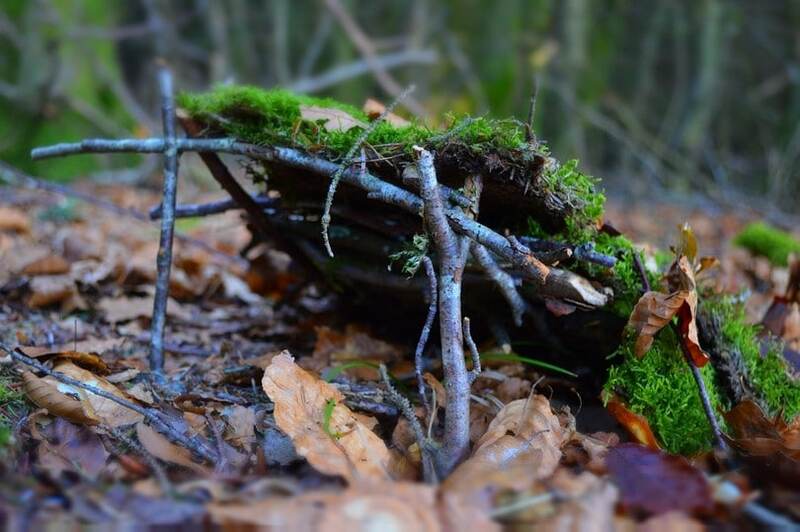 If you are really interested in learning more about survival and training yourself and your family, you can get more information about camps and programs from our survival training guide. How to get drink water? Begin with one of the basics, and that is knowing how to search for fresh water. Depending on your local climate and geography, this is a methodology that can vary wildly. However, there are some basic steps you can use to begin to track down a source of clean drinking water. This process involves a great deal of patience and detective work, so be prepared to spend at least an afternoon for your search. Begin by examining the landscape. If you live in a mountainous area, there are likely to be tributaries and steams in the valleys between the mountains, known as coolies. These drainage are often seasonal, so be prepared to come up empty depending on the time of year, but it’s an excellent place to start. If you’re in a flatter area, or one with rolling hills, again, look for ditches and drainage. Then look for signs of a high water table, or a spring. Typically these indicators will be swampy, water-loving plants growing in clusters, like reed plants and cat tails. Try digging a hole in those areas, and see if you can access the water table. If after a couple of feet you still have no luck, it’s time to follow the animals. Look to where the largest animals in the area go to get their water by following game trails-the larger the animal, the more fresh water they need. However, if you find water, this doesn’t mean it is good to drink. Stagnant water can be contaminated and rivers are not always extremely safe to drink. 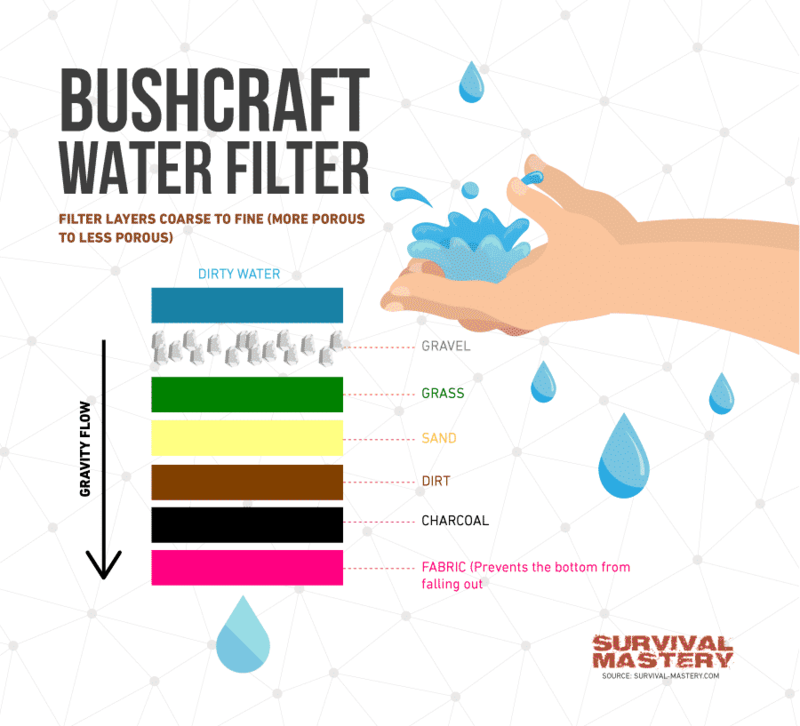 We have a great piece on how to purify water using 5 methods that any bushcrafter should know. Where to find food to eat? We’ve already been over much of what entails foraging. Knowing what plants are around you, and how to tell if they are safe to eat or not, is a crucial bushcraft survival skill. Much of the success with wild foraging for food is simply knowing when not to tempt fate, and if you’re well informed and cautious, you shouldn’t have a problem with that. The trickier side of getting your food in the wild is getting the kind that can run away. Having the ability to hunt with little or no professional gear is a rare skill. In today’s age of sights and compound bows, even a hunting for as seemingly primitive as archery has become largely dependent on technology and industry. Though these are still fine skills to hone, knowing how to hunt without the latest gear is an indispensable skill. The complexities of traditional bow-making are a little too in depth for this article, but you can read all about it in our DIY guide on how to make your own bow and arrows. Still, there are many other ways you can catch wild game without the use of modern tools. Trapping has been used for thousands of years, and has taken numerous forms as technology has, again, changed its face. However, some of the most basic traps, when put in the right spots, are still extremely effective. With plenty of patience, and keen observation on animal movements, these can be effective tools for catching your prey. One of the most basic animal traps is the snare, which is essentially just a slipknot, placed in an inconspicuous location, designed to snag a passing animal around the leg or hock. There are many different ways to tie and set one, some of the more elaborate forms even involving hand-made, spring loaded spears (use caution with these). However, for the beginner, trying to catch something small and simply like a rabbit, a basic snare will do just fine. If you happen to have some rope on you, use around 5 feet of that, but if you don’t, search around for some “green”, or flexible, grasses or vines. These can be woven or braided together to make a rope around a half inch in diameter. You don’t want it too big though, or it may be too easily spotted by your prey. Select a spot where you’ve noticed signs of rabbit activity (again, observation is key), and find something sturdy nearby to tie your rope to, like a narrow tree. Form a slipknot at the other end, and find a way to subtly prop it up on the ground. 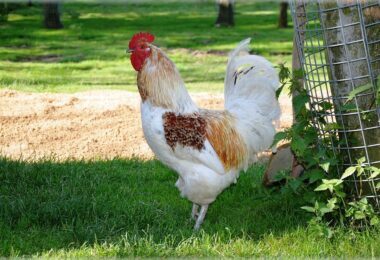 The idea is you want the animal to get either its foot or neck caught in the trap, so you can come back to it later and humanely put it out, before making use of it for dinner. Once the snare is set up, leave it, and wait. Many people set up trap lines, in which they will have a trail of traps set up at strategic places, to have the most chances of getting an animal. This is absolutely a prudent idea in a survival scenario-just be sure not to forget where your traps are. Speaking of trapping, another excellent bushcraft survival skill involves an old Native American method of trapping small fish in running water. If you’re close by a stream, you can select an area close to the bank, and build something of a diverter, using rocks, to redirect fish being pulled by the current into a shallow pool. The force of the current will keep them from swimming back out, and you will have essentially created for yourself a live well. Just bear in mind that these are typically done on a fairly small scale, and may trap only smaller fish. How to build a good shelter? 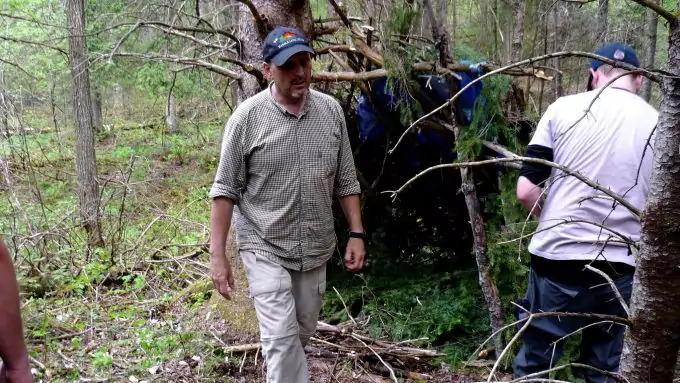 Using your wild bushcrafting skills to drum up a shelter isn’t terribly complicated, but it is time consuming. When it comes to beginning this task, start early, and work hard so that you have a roof over your head by sundown. The most crucial element is to keep wind and moisture off of yourself, so make use of whatever natural windbreaks you can find. Often that means constructing your lean to against a rocky wall or a tree-whatever will keep you out of the weather. A roof can usually be woven together fairly simply, just be sure to use living, or green branches. Find some good “tool rocks” for things like digging post holes, cutting branches, peeling bark, etc. There is no one hard or fast way to build a shelter, but it is advisable to make whatever structure you devise with 3 walls and a shed roof, so that water runs off one end, and not down the walls. Insulate your dwelling with whatever you can find, just make sure it’s dry and passenger free (nothing like waking up to a bed full of fire ants). Dried leaves, grasses, and pine needles make great insulation. Stuff it into crevasses and corners, wherever you feel a draft. Then dig yourself a hip hole (try lying on your side on the ground, you’ll figure it out), and hunker down for the night. Seal as much of your body heat within the walls of your shelter as you can. The warmer and dryer you stay, the less change you have of getting sick. 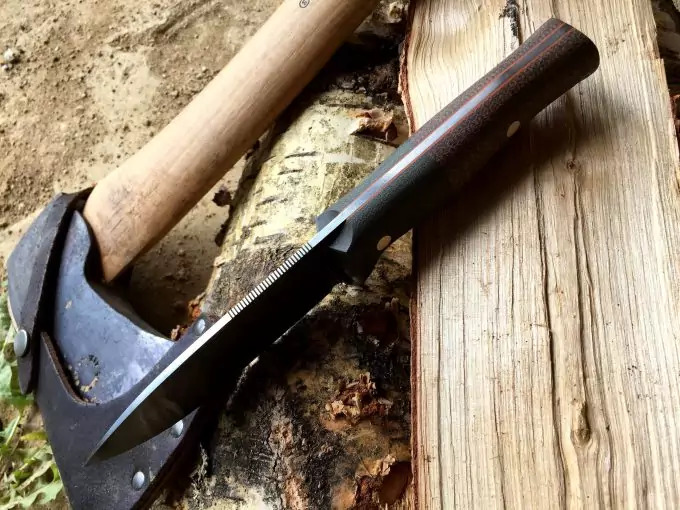 Many of these skills come from the old timers who had no choice but to rough it, back in the days when if they wanted a house, they had to go swing an axe and build one. But with the industrial revolution came a subtle genocide of our skills. We entered the era of convenience, and forgot what it meant to grind something out of the earth for ourselves. The truth is, there is no really great source of information on the Internet for these skills. You can find some how to articles, some basic information like what I’ve just given you, but in the end, sit down with some of the original mountain men, and that’s where you’ll get the real stuff. These skills are a lost passion that is slowly being rekindled by a generation. Get out there and make use of this information-get your hands dirty, and remind people what it is to know how to truly do something for themselves.